The gentle thoroughbred, Black Beauty, is raised with care and is treated well until a vicious groom injures him. The damaged horse is then sold to various masters at whose hands he experiences cruelty and neglect. 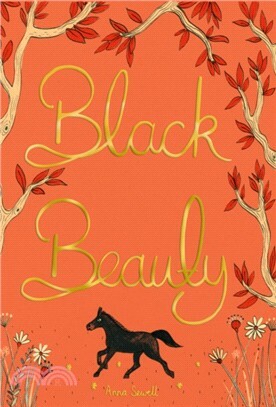 After many unpleasant episodes, including one where he becomes a painfully overworked cab horse in London, Black Beauty finally canters towards a happy ending. Although Anna Sewell's classic is set firmly in the Victorian period, its message is universal and timeless: animals will serve humans well if they are treated with consideration and kindness. There have been many film and television adaptations of the story, but it is only the novel that captures the authentic voice of the central character.